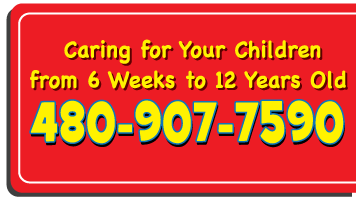 1 – Don’t leave your child in the car – EVER! Cars can get very hot, very fast, especially here in Arizona. Did you know if the temperature outside your car is 100 degrees, the inside can be as hot as 172 degrees? Leaving a child in the car can kill them quickly. You may say to yourself, “I would NEVER leave my baby in the car!” But that’s exactly what all the parents who have accidentally done that say, too. Here’s a trick. When you strap your child into the car, take off your left shoe and place it on the seat next to the child. That way, when you get out of the car, you won’t get very far before you realize you’re missing something – and it might not just be your shoe! Also, it’s tempting to “just run in” – just don’t do it. 2 – Watch kids around water – ALWAYS! 3 – Properly install and use car seats. There are many different types of car seats and even more kinds of cars! Make sure the car seat you have works in your car. If you’re wondering whether your car seat is properly installed, you can visit this site to find the location of a Child Car Seat Inspection Station near you. Bring your car, your car seat, and the child that will be riding in it, and the professional there will make sure you know exactly how to keep kids safe. Also, federal regulations about age and weight requirements have changed recently. Click here to find out if you are compliant. If the unthinkable does happen, and you find yourself needing to perform CPR on your child or someone else’s, you need to be up to date on the latest techniques. 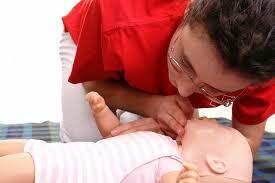 There are several places around the valley to learn CPR, and make sure your babysitter knows CPR, too. You never know when an accident might happen, so be prepared! Make sure your car is stocked with an emergency kit containing water, a blanket, pocket knife, and first aid kit. Keep a first aid kit in your diaper bag or purse. Keep emergency numbers easily accessible (think about keeping them in two places in case something happens to your phone). Know CPR and what to do in case of choking. Being prepared will help you keep calm in times of stress. Make sure you’re ready for anything. Back To School Means Time To Get Organized!